As part of our ongoing relationship with ACU we were asked to create a new entry statement for the School of Allied Health. 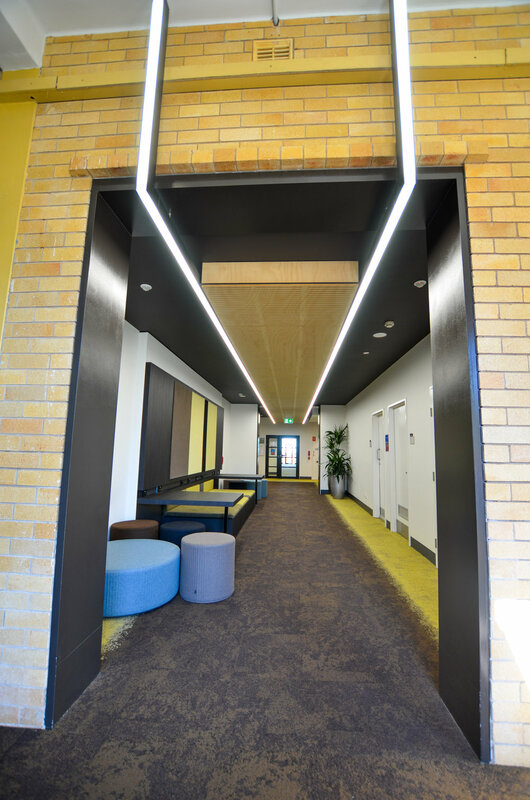 The refurbishment was to turn a tired and underutilised portion of the original 1920's heritage listed building into an comfortable and active space. 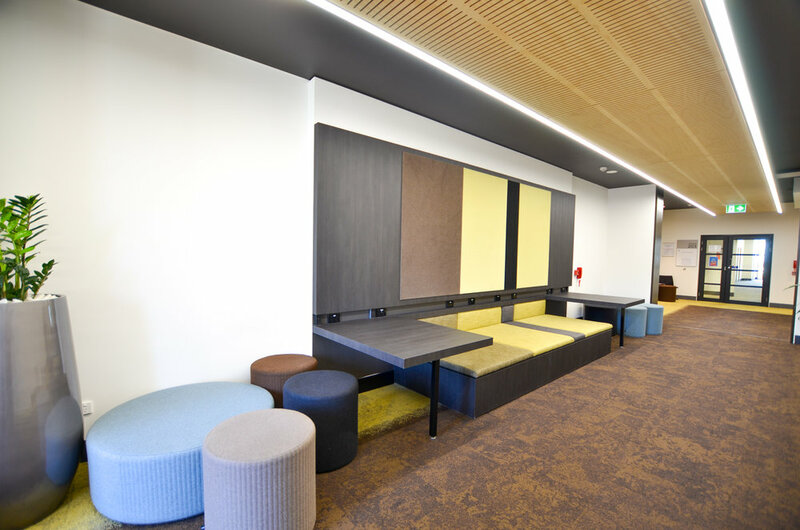 The program was to provide a new usable entry zone for the school of Allied Health for students to work , wait and meet with staff, a secure open plan office for sessional staff with a break out zone and associated meeting room. 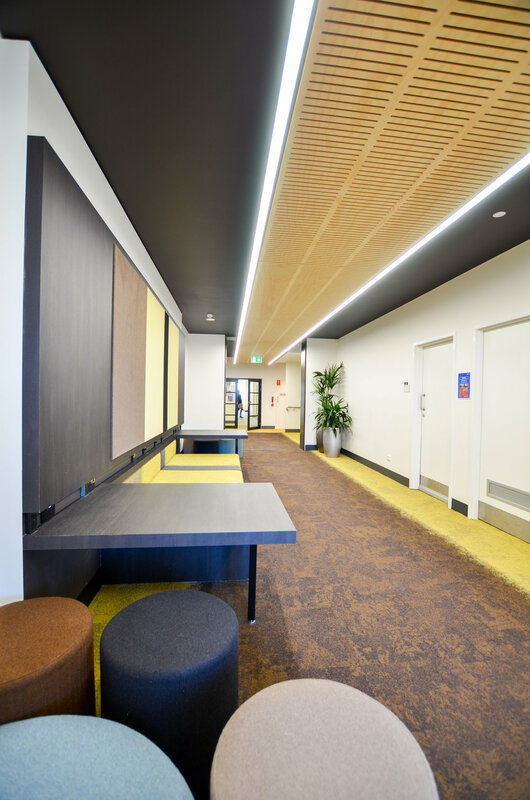 Most of the spaces involved were hallways so needed a clever interpretation to make them feel both habitable and circulation zones. Warehouse design is for the most part extremely pragmatic. The purpose is to provide large covered space at the most economical cost available. At the same time these spaces still need to provide a frontage for clients and a safe and healthy working space. Providing good light distribution and ventilation through the warehouse reduces ongoing costs and improves productivity. 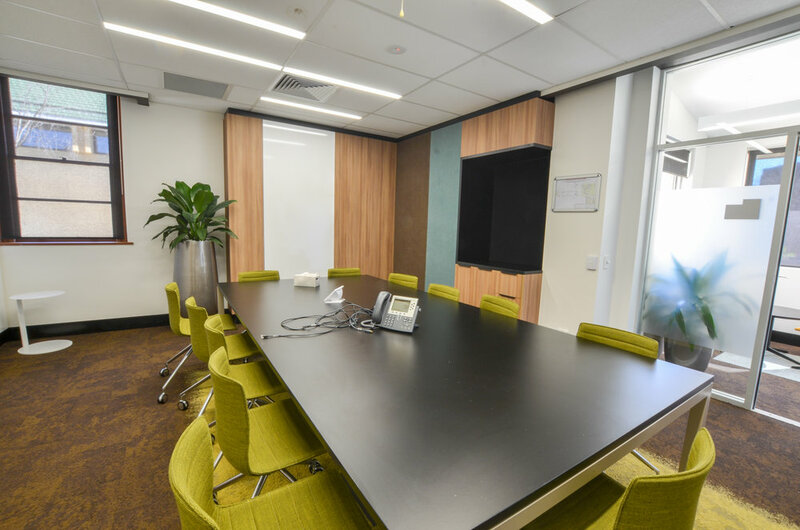 Spending a little more attention on the detail of the office / showroom can bring the quality of the development and overall image of the company to a new level. 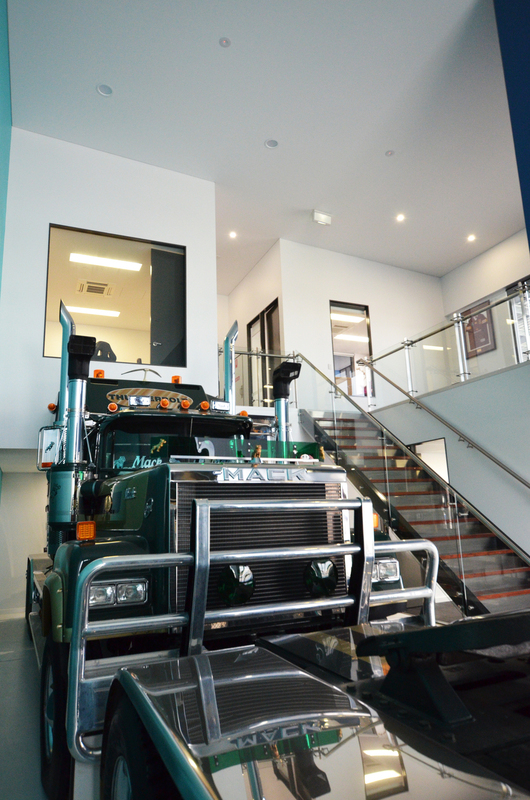 This project was on a site riddled with easements so the buildable area is extremely restricted, with some careful manipulation we managed to squeeze in warehouse and allowed large hardstand areas for the truck storage. Resonance d+a prepared the concept design directly for the client and completed the works through a novated contract to a D&C builder. The client was so happy we are now currently designing their house. This extension to a small part time fire station converts the existing building into a double engine bay and adds on the new habitable space following existing roof lines. The upgraded facility aims to provide improved amenity and training opportunities within a strict budget. The existing 80's building was stripped and the roof raised to allow for larger engines and a new extension at the back provides a state of the art operations centre for area emergencies and a daily training centre. Master planning requires the ability to step out of the detail and provide a framework for cohesive future opportunities. There needs to be a strong relationship between elements that are yet to be designed. In effect the master plan should be strong enough to drive the detail design by providing connections, views, access opportunities, edges, nodes, functional relationships, precincts and all the items that can not be seen but critical for the success of the development. A successful master plan integrates all the required elements into a cohesive whole, where often the complete package relies on the relationship between the individual elements.